Every Size for Every Need! 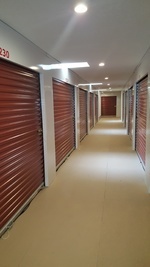 We have a variety of unit sizes to meet every storage need, reserve your unit today. Similar to a closet in a home. Great for seasonal items. Can also store several boxes, and smaller items. 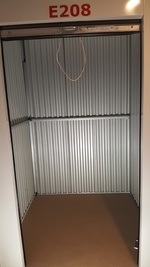 Large walk-in closet, fantastic for storing chests. Chair or bureau a perfect fit. It fits a dresser, a small mattress set, and several small to medium-sized boxes. This space is also perfect for garden tools, seasonal décor and sports equipment. Excellent for household items for one small room. Maximize the units eight foot ceilings. This is the perfect size for storing small furnishings. A vanity no problem! It fits furnishings of a mid-sized bedroom, including a queen-sized bed, a dresser, a TV and several small to medium-sized boxes. 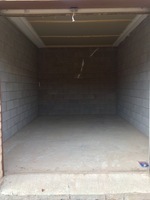 This unit is 5 feet wide and 10 feet long, totaling 50 square feet of space. 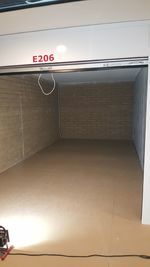 Units have an 8 foot ceiling, so you can maximize the space of 50 square feet plus 8 feet high, or 400 cubic feet. Lower Level Drive Up. 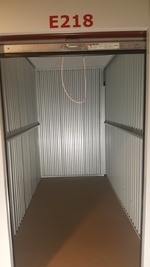 7 x 10 storage unit is a ideal choice for clearing the space in you garage. When it’s a toss up between storing your summer/winter toys and sports equipment or parking your car in the garage. Store items you want to keep but don’t the have space for. 7'x 10’ offers 75 square feet of accessible space that can fit up to 20 – 25 boxes, a couch, some end chairs, office furniture, building materials, machinery (note: all fuel must be drained). Need to stage your home for sale, remove the clutter and raise your appeal. This unit fits furnishings for a one bedroom apartment. That includes a washer and dryer, plus boxes. It fits the contents of an entire family room or two full bedrooms, including several small to medium-sized boxes. You could also store contents of a one-bedroom apartment, including a couple of major appliances. This can store furnishings for a two bedroom apartment or small house without appliances. It fits the contents of three full bedrooms and larger items such as a piano, couches, tables, or large-screen TVs, plus several medium to large-sized boxes. Store small recreational vehicles, motorcycles, or grandma's antique furniture. Furnishings for a small house or large apartment. This is the size of a garage, can fit just about anything. Can accommodate a compact car and some other mid-size vehicles.